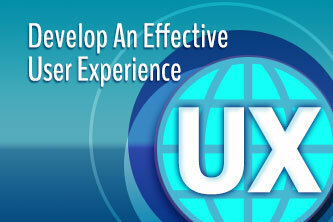 How do you develop an effective website user experience? How they think about your capabilities will unlock the solutions. Collect those insights thorough analysis and careful research. You aren't your competition. But describing your capabilities in a totally different way isn't the way to stand apart. Online, it's important to be in the vicinity of the competition. If you show up where others don't, it likely means customers and prospects won't find you. We identify the most powerful terms and phrases that help you best describe your products and services. This maximizes your exposure online. How do they present similar products and services? What navigation style do they use. How is their site designed? What do they do well and where are their weaknesses? How can you stand out in your local market? 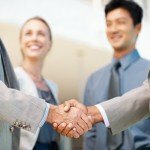 This research allows us to learn from what they do and differentiate you and your unique services. Customer feedback provides insight on how they think about your products and services. What terms are used in search? How do they navigate to get that information? This data provides valuable insights that contribute to an effective web strategy. Your company employs talented people who live and breath your capabilities. Customer facing staff are paid to interpret client needs. Capturing these unique insights will help identify how your products and services stand apart. Once the key terms and phrases are identified, keyword research can identify the best choices based on search volume and ranking factors. Large companies with big budgets are difficult to compete against for the most common product names but finding effective long tail phrases will rank you high in search results. Thorough research will uncover key elements that enhance your website user experience.